Registration forms must be picked up and dropped off at the Parish Office. DO NOT MAIL FORMS. All forms are due by Thursday, October 18. Click here for a coaching application. 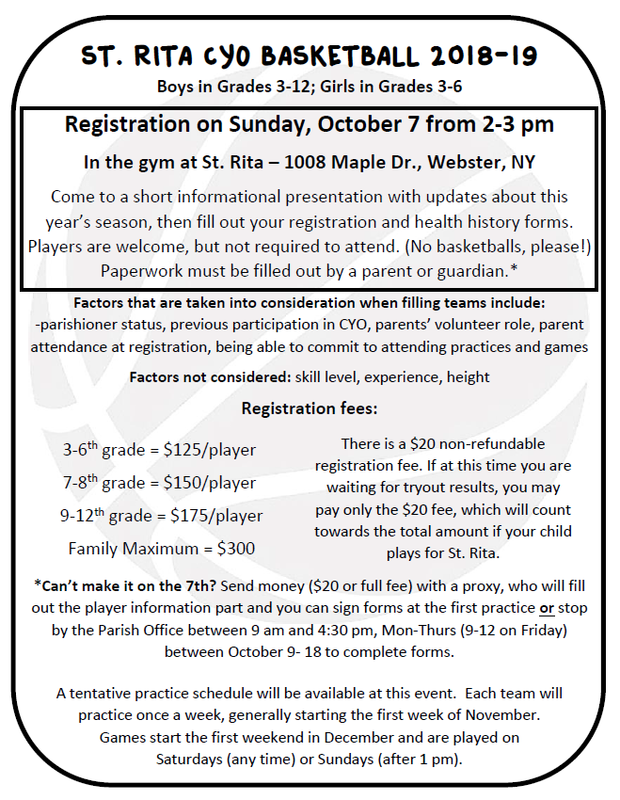 For more information about CYO Basketball at St. Rita Church, please contact Elizabeth Kwiatkowski.